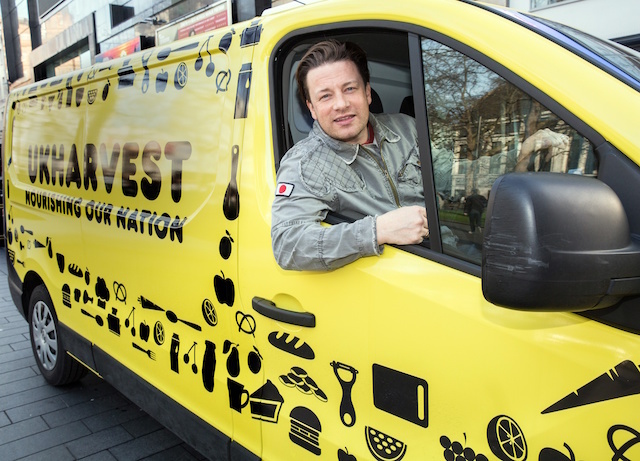 Following the charity’s success in Australia, OzHarvest, which is dedicated to reducing food waste throughout the nation, is now expanding its operations to the UK under the apt name of UKHarvest, with support from celebrity chef Jamie Oliver and the Duchess of Cornwall. The announcement follows the charity’s first ever UK CEO CookOff in London, which raised over £500,000 for the cause. The funds will now be invested into UKHarvest operations, giving the fledgling organisation a vital kick-start. The CEO CookOff events bring together influential business leaders and renowned chefs under the watchful eye of founder Ronni Kahn, promoting the cause in the eyes of powerful members of society by encouraging them to join the charity in the creation of various culinary treats. The impressive line-up of chefs associated with the charity and its events include; Bill Granger, Brett Graham, Angela Hartnett, Atul Kochhar, and Gennaro Contaldo, as well as the aforementioned Jamie Oliver. HRH the Duchess of Cornwall also attended the London event. “It was an absolutely stunning event and I was thrilled to join the incredible Jamie Oliver and HRH the Duchess of Cornwall to share the magic of the first CEO CookOff in London. Thanks to the extraordinary support from both individuals, UKHarvest is off to a flying start,” said founder Ronni Kahn. It is hoped that success in the UK may lead to further expansion into other countries, using the OzHarvest model to reduce food waste around the world.